RedInkRadio: Book Release Party This Saturday, July 19th! Book Release Party This Saturday, July 19th! This is just a quick post to announce/remind everyone that the book release party for Darwin Carmichael is Going to Hell is happening this Saturday at 7pm at Bergen Street Comics! 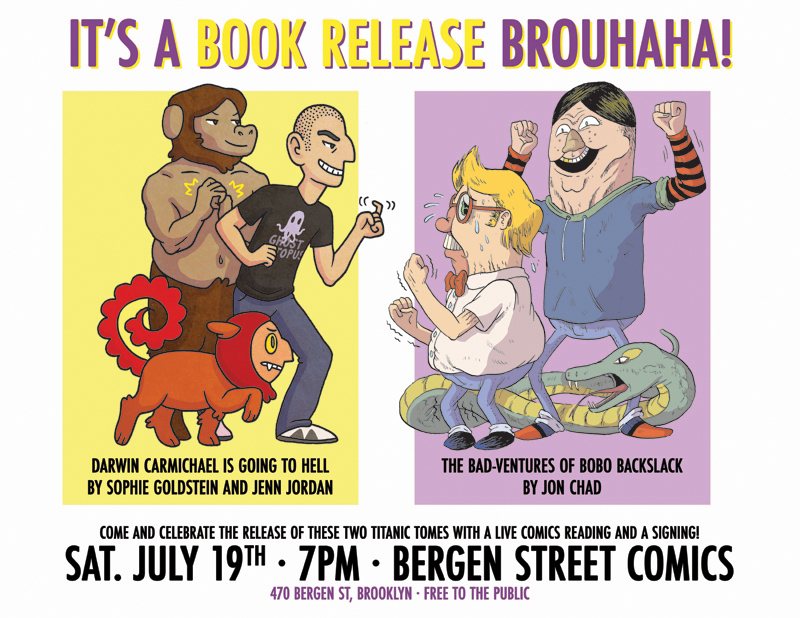 It's a co-release party with my buddy Jon Chad, whose really excellent book The Bad-Ventures of Bobo Backslack was recently published by Adhouse! There will be alcohol and live readings! To whet your appetite you can read reviews of DCiGTH on Fleen.com and This is Infamous. If you can't make the party you can still buy the book from our webstore! Your support is deeply appreciated.